Arrgh maties, batten down the hatches, swab the poop deck, sharpen the pencils! 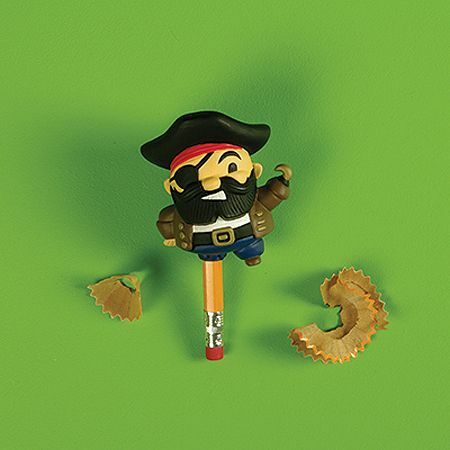 This peg-legged pirate will put a new point on your pencil faster than you can say “land ho”. And he won’t even give you a hard time if you’re a landlubber.